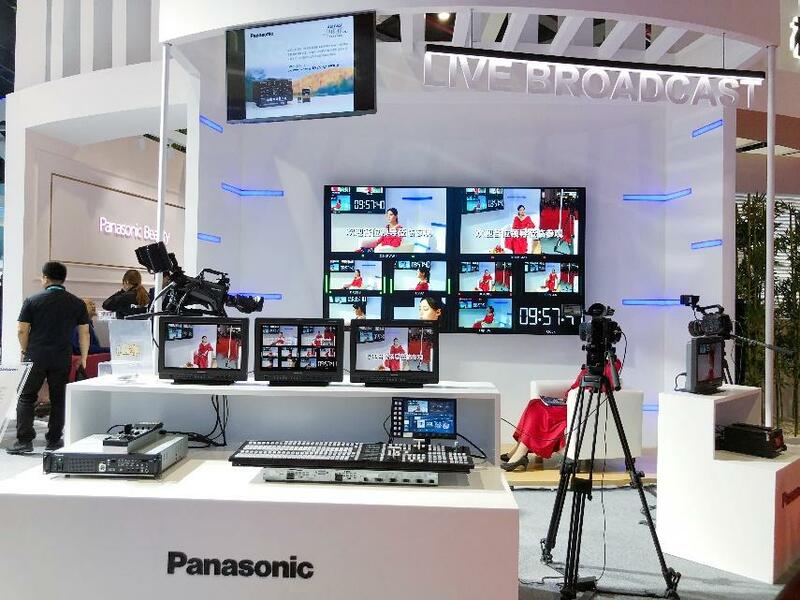 Shanghai, China - From November 5 to 10, 2018, Panasonic Corporation of China showcased a booth at the first China International Import Expo. This exhibition was advocated and hosted personally by President of the People's Republic of China, Xi Jinping and is the world's first national-level exhibition themed on imports. This year marks the 40th anniversary of China's reform and opening-up of its economy, and the exhibition was held with the aim of encouraging China's economy to open-up even further. At the opening ceremony on November 5, President Xi declared in front of 1,500 government officials and CEOs from China's leading corporations, "We will cooperate with all countries with a more open economy and improve the economy of the world." There were 3,600 companies from 172 countries that showcased booths at the expo. Many Chinese government officials and important members of the state visited the exhibition and came to view Panasonic's booth, which promoted the company's high-tech products and technology and conveyed its vision for the future. It also promoted Panasonic's desire to expand cooperation with more Chinese corporations and build mutually beneficial relationships, as well as contribute to the development of Chinese society based on the Management Philosophy that a company is a public entity of society. Many people were interested in the innovative technology presented, including a transparent display screen. 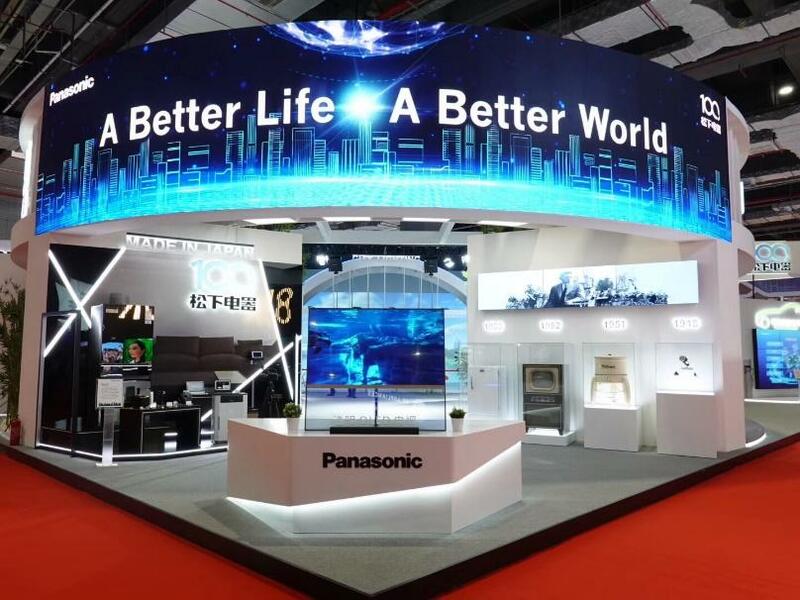 Themed on Panasonic's Brand Slogan, "A Better Life，A Better World," the booth was divided into six areas, Vision and History, Lifestyle, Air Cleaner, City Lighting, Smart Factory, and Mobility, and promoted Panasonic's high-tech products, technology, and solutions that cover B2C to B2B. A diverse range of lifestyles people yearn for, including basic everyday necessities and transportation, were proposed through Panasonic's products and technology on an arc-shaped screen as the company's vision for future living, namely, Vision 2030. It introduced the realization of a future that is smarter, friendlier toward the environment, and more convenient, which is certainly a realization of A Better Life, A Better World. 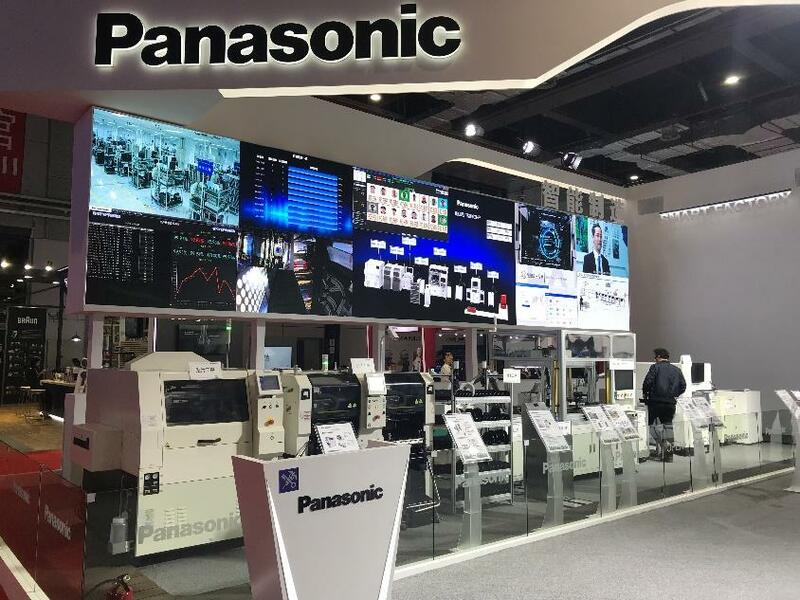 At the history section, Panasonic's first products and latest imports were displayed alongside each other to show how the company's products and technology have developed. 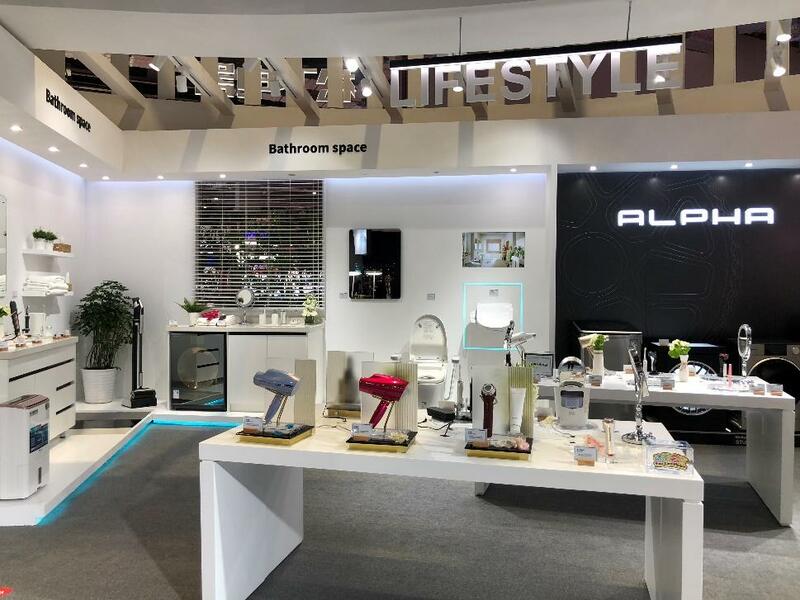 Proposals for living spaces were promoted through the recreation of four lifestyle scenes; daily life, kitchens, bathrooms, and beauty care, and an entire room was used to showcase IoT solutions. This area introduced Panasonic's initiatives in the environmental domain in conjunction with promoting the deodorizing and antibacterial effects of the Ziaino air purifier. 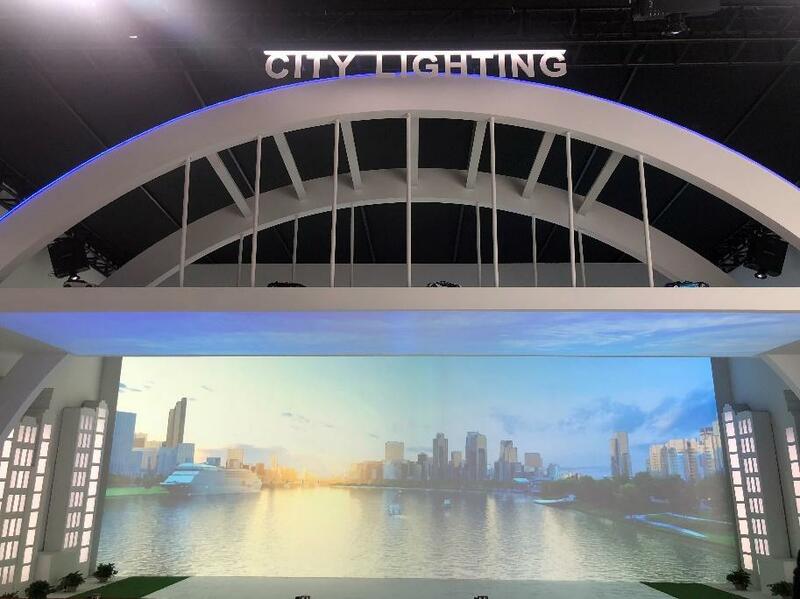 This area showcased an example of the introduction of Panasonic's lighting installation at a large bridge in Shanghai as part of its solutions for city planning and public offices. The display presented how eight commercial projectors are used to completely cover the surrounding area. It promoted the increase in travel and tourism appeal by applying the special characteristics of high luminosity, reliability and a flexible installation to light up the cityscape. 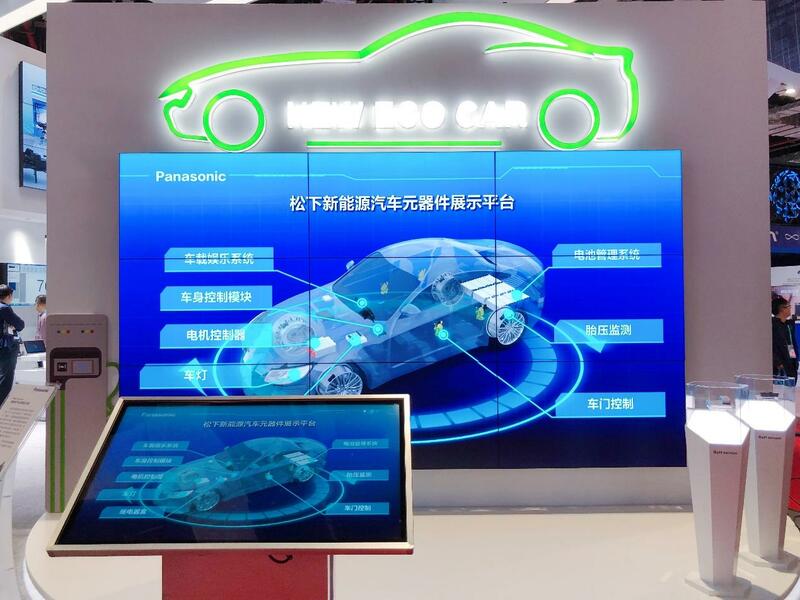 The use of electronic components in new energy vehicles was introduced through a presentation using a touchscreen and large screen. This area presented smart manufacturing total solutions in the factory automation (FA) business. There were a variety of proposals at this area that fulfill customers' streamlining and manpower reduction needs and realize streamlined manufacturing, including the use of IoT in automated equipment and data communication between equipment, production processes where a central control is required, and the combination of equipment and systems. Lastly, Panasonic showcased a part of its high-definition video device range for live broadcasts to support the hosting of the Olympic Games as The Olympic Partner (TOP) sponsor. Panasonic conveyed their increased commitment toward the Olympic and Paralympic Games Tokyo 2020 and the Beijing 2022 Winter Games.